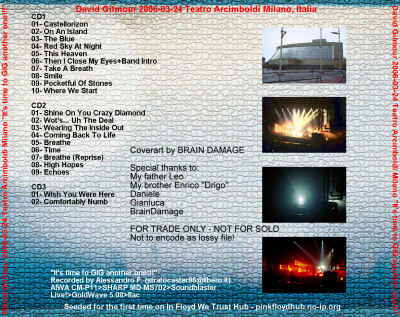 IFWT-CDR-016 DG 2006-03-24 Teatro Arcimboldi Milano, Italia "It's time to GIG another one!!!" "It's time to GIG another one!!!" Not to encode as lossy file!